Generally, embassies are open from 9 am-noon and 1:30-4 pm, Monday to Friday. For visa applications, consulates tend to be closed in the afternoons. 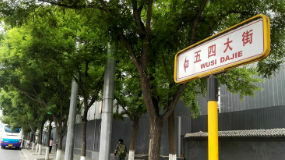 There are three embassy districts in Beijing: Jianguomen, Chaoyangmen and Liangmahe, where most of the embassies and consulates in Beijing are located. Around the three embassy districts, there are many lovely restaurants, bars and shops. 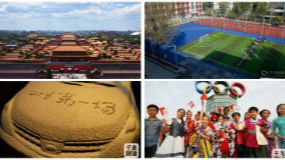 Check: http://www.fmprc.gov.cn/eng/ to find a list of all the embassies in Beijing.